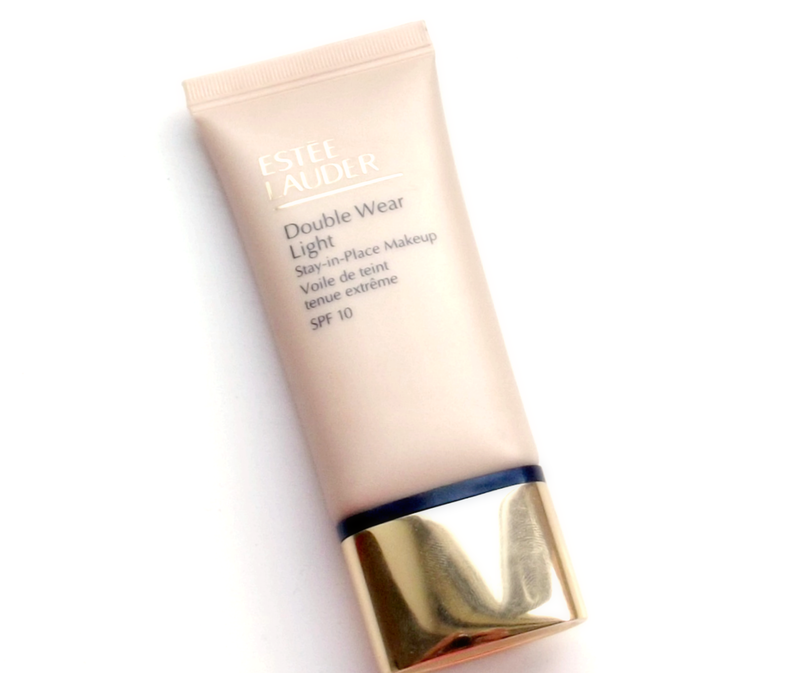 In the world of beauty blogging Estée Lauder Double Wear foundation is like marmite, some of us love it, others hate it. I am one of those who fall into the 'love it' bracket, the only thing I find is that it is too heavy on my skin during Summer. So when I found out that Estée Lauder did Double Wear Light I knew I had to buy it and give it a go. The first thing I will say is the shades differ slightly between Double Wear and Double Wear Light. Double Wear has a large range of different shades (I believe there are around 30) and each has their own name. Double Wear Light has a smaller range of shades (I believe there are 9 to choose from) and each has their own intensity number. I would always recommend getting matched at a counter when looking for a new foundation but to give you a rough idea of how the shades translate from one to the other I wear 'Desert Beige' in Double Wear & Intensity 2.0 in Double Wear Light which I have found to be a good match for me. Although the foundation is said to be 'light' I would say it is more of a medium coverage foundation (as you can probably see on my swatch above). The foundation is long lasting once applied to the skin (I've even tried it without applying my primer first) and I don't find I need to touch it up during the day. I find that Double Wear seems to dry quite quickly when applied to the skin, which can sometimes make it hard to blend for a flawless finish. Double Wear light doesn't dry as quickly and blends beautifully, I prefer to use a brush to apply foundation to my face but I blended the foundation swatch into the back of my hand for the photo using my fingers which worked pretty well too. Double Wear Light tends to leave the skin with quite a natural looking finish which is fairly matte on the skin, of course this depends how much is applied to the skin. This product is pretty pricey, at £29.50 for a 30ml tube but I have honestly found it to be worth every penny. This product can be purchased from any Estée Lauder counter or online.